Katharine H. Cole has joined UMBC as vice provost and dean of Undergraduate Academic Affairs (UAA). Cole’s tenure began on August 14, 2017, just ahead of the university’s fall 2017 semester. Cole joins UMBC from the University of Tampa, where she served as associate provost and dean of academic services for five years. Prior to that, she served as associate dean of undergraduate studies at the University of South Florida (2010 – 2012). Cole also held faculty positions at the University of Maryland, Baltimore; University of South Florida; and University of Tampa, and, early in her career, was a postdoctoral fellow and a clinical research scientist for the National Cancer Institute at the National Institutes of Health. She holds a B.A. in biological sciences from the University of Delaware, M.A. in zoology from the University of Northern Colorado, and Ph.D. in pathology from the University of Maryland School of Medicine. 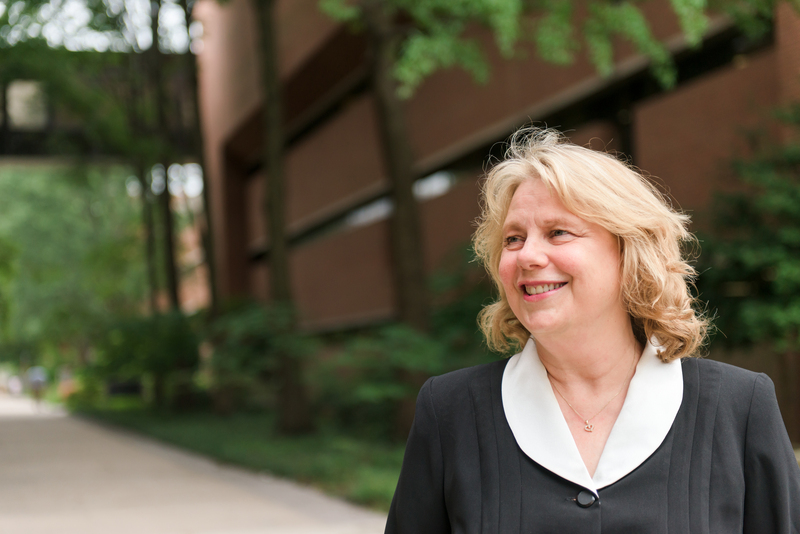 To her new role at UMBC, Cole brings extensive experience in research, teaching, and academic administration, as well as an outstanding record of leadership in academic affairs and community engagement. She is deeply committed to ensuring effective participation in shared governance by university staff, faculty, and students. Additionally, she has been recognized for significant contributions to the advancement of student success, advising, and academic standards and integrity. As vice provost and dean, Cole will lead the Division of Undergraduate Academic Affairs in offering programs that deliver a distinctive UMBC undergraduate experience. She will guide and review curricula, programs, and academic policy, and foster collaborative relationships with both colleagues across campus and external partners, with the goal of supporting the success of all students. Units and programs within the UAA include the Office of Undergraduate Education, Honors College, Interdisciplinary Studies Program, Women’s Center, Learning Resources Center, Meyerhoff Scholars Program, and Sherman STEM Teacher Scholars Program. CAHSS Dean Scott Casper chaired the vice provost and dean of UAA search committee. He and Provost Philip Rous particularly recognize the essential contributions of Simon Stacey, director of UMBC’s Honors College, who served as interim dean throughout the process, offering steady guidance and leadership.